As his first term winds up, the Minister of Sports and Youth Development, Solomon Dalung, has sought President Muhammadu Buhari’s intervention in the release of funds for preparations for three major competitions coming up between now and August this year. The minister who briefed newsmen after a meeting with the President at the Presidential Villa yesterday listed the competitions to include 2019 Africa Beach soccer games in Cape Verde, in June, 8th, FIFA Women’s World Cup finals, holding June 7 to July 7 in France and 12th All African Games scheduled to take place in Rabat, Morocco from 19 August to 31 August 2019. Dalung also called for Buhari’s intervention to host the African Union Volunteers Corps, as requested by the African Union, which unfortunately came after the submission of the ministry’s 2019 budget proposal. The minister who did not disclose the capital expenditure profile of each of the competition said, sports is capital intensive. He added that the African games has a very large contingent because Nigeria will be participating in 15 sports and five non-Olympic sports, noting that the funds would help in trainings and campings. He said it was important to raise the issue now as the administration is already in transition mood because the life span of this administration ends in May 29th. Meanwhile the minister has declared that he will be remembered for his insistence on democratization of the leadership and membership of various sports associations which has hauled in over 700 medals from different global tournaments. 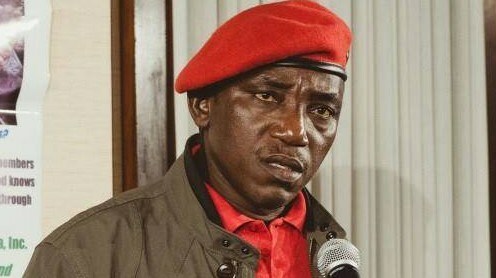 Asked to recall the highpoints of his tenure as Buhari’s first term winds up in a few weeks, Dalung said his democratisation process allowed diverse people and interests to bring in fresh, positive ideas and contributions to sports associations in the country. The Minister explained that this enabled the sports associations to be stabilised and more effective such that Nigerian athletes excelled enough to haul in over 700 international medals during his tenure.